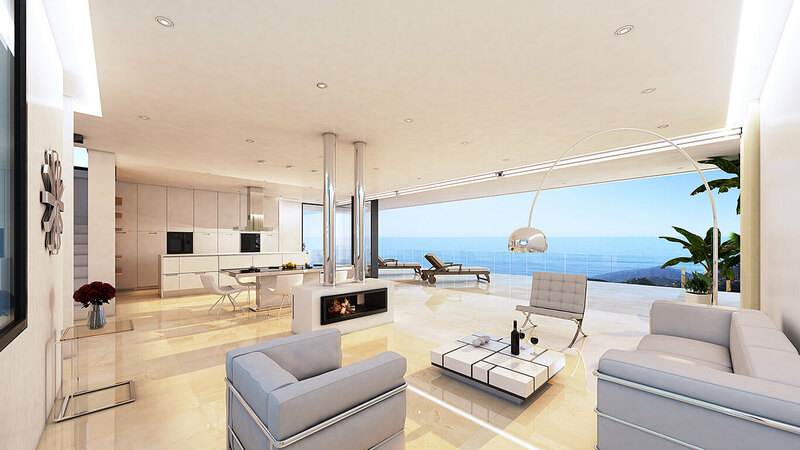 5 luxurious new villas with private pools and gardens, offering spectacular panoramic views. 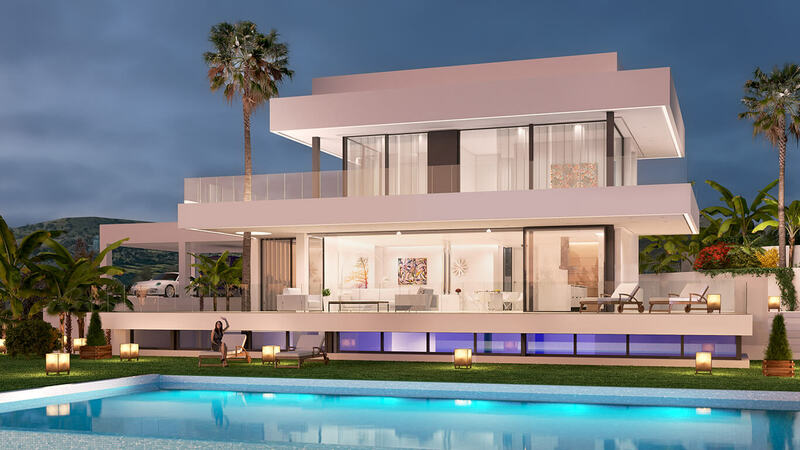 Each of the five villas have 4 bedrooms and 5 bathrooms and a built area of up to 620m², while the living area is equally impressive at up to 380m². 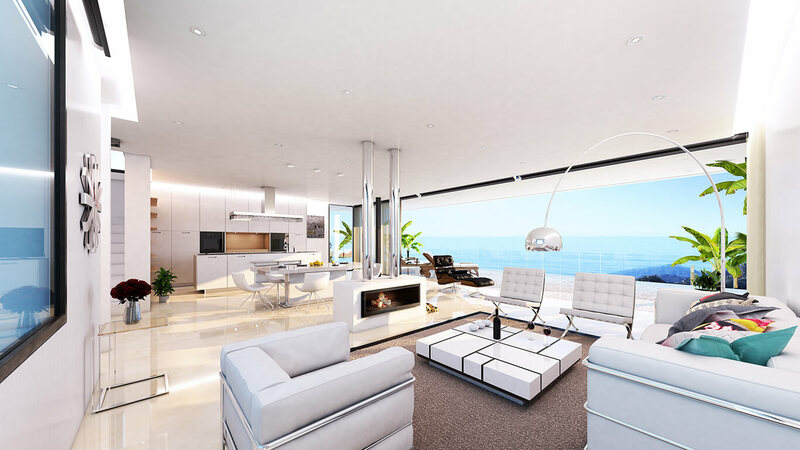 The large terrace seamlessly integrated into the living area through large floor-to-ceiling windows also to maximize the natural light. 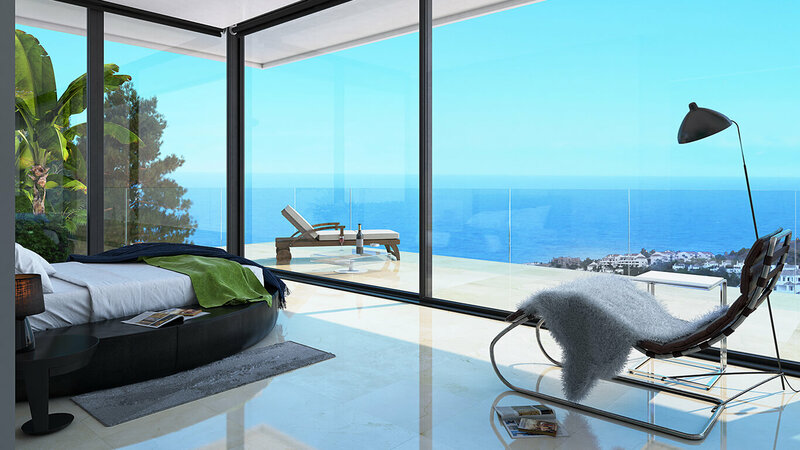 Each room has a private bathroom and stunning panoramic views. Master bedrooms are equipped with walk-in closets while the other bedrooms have enough space in their built-in wardrobes. 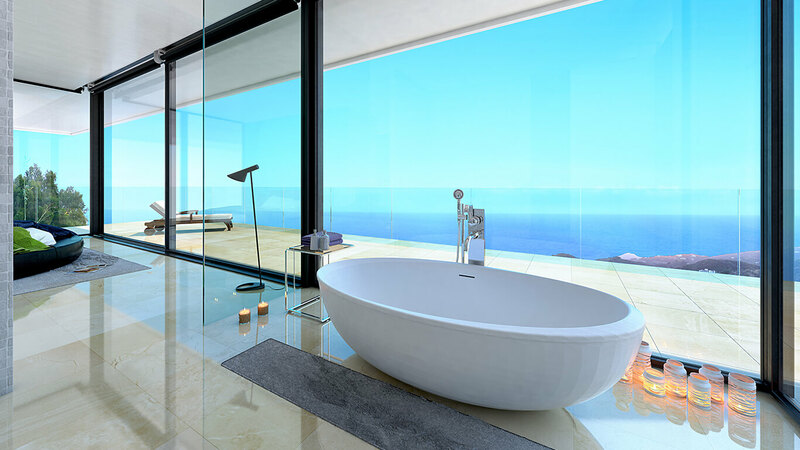 All bathrooms have great finish with the highest quality materials. 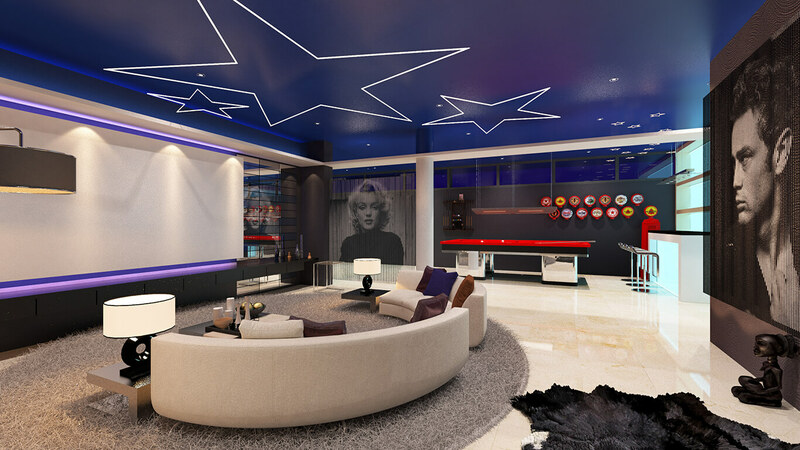 With heated floors, soft-close toilet seats and LED illuminated mirrors, you will be able to enjoy your relaxation to the fullest. 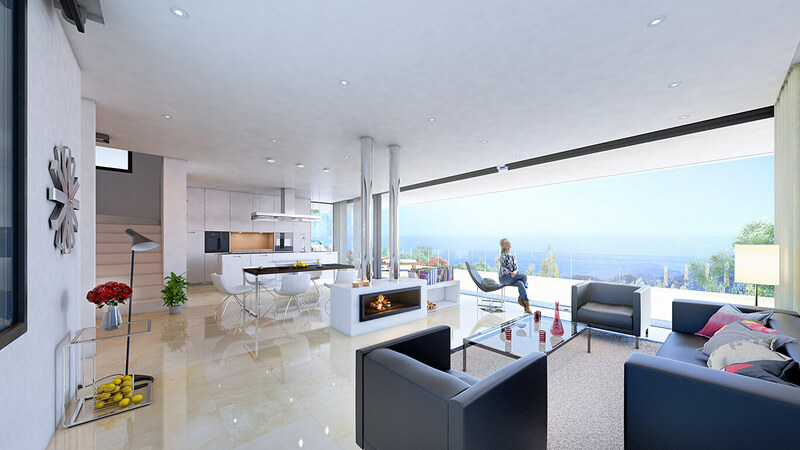 Designer Kitchen, Bioethanol Fireplace and underfloor heating. 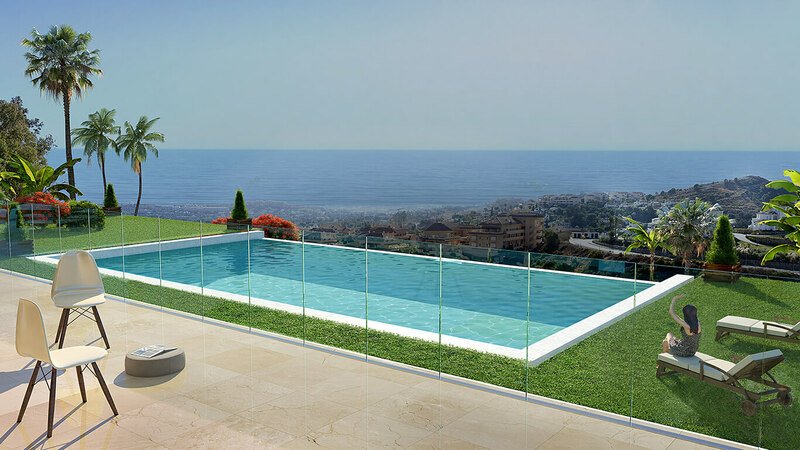 Large terraces and gardens with your own infinity pool with sea views. The terraces are partly covered, so you can both enjoy the sun or relax in the shade. The terraced houses have large basements that could be used for a gym, a sauna, a bar or a home theater. There are different solutions that have already been designed and prepared. The area is so big that the possibilities are endless. 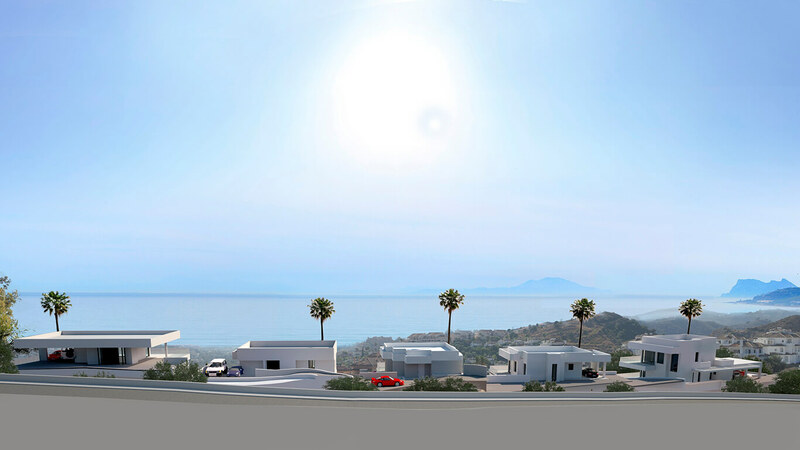 Located on a hillside in Nueva Andalucia, south-facing and with an excellent view of the Mediterranean. 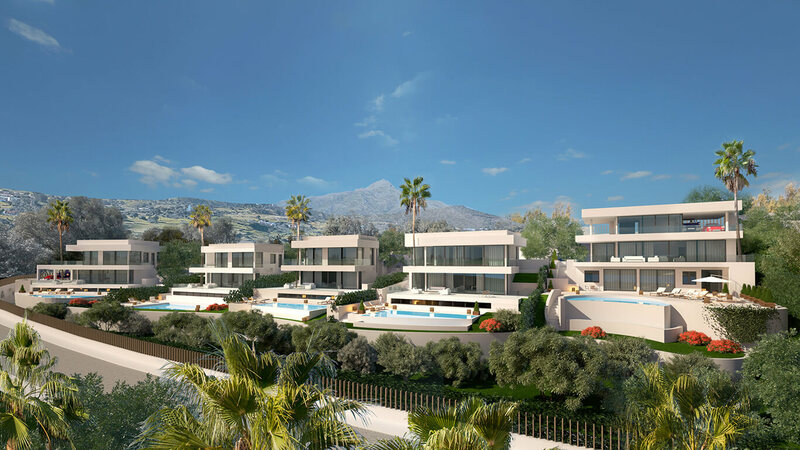 They are located just minutes from Marbella and Puerto Banus where there is everything you could wish for. The area is fenced.